Hotel can consider to provide a wifi at each level..overall is good and value for money..
Center at the town there so many such place can visit and also the food taste of johor easy to find. Reasonable price. Includes breakfast. Spacious rooms. 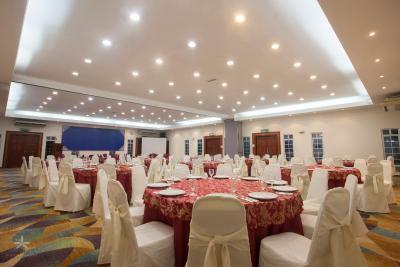 The room is comfortable and the breakfast served is delicious, suits Malaysian taste. 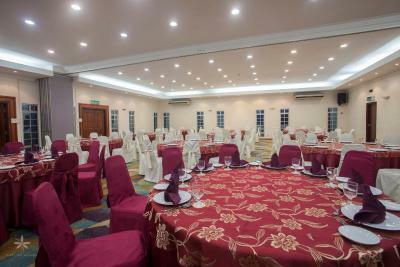 Hotel Seri Malaysia Johor Bahru This rating is a reflection of how the property compares to the industry standard when it comes to price, facilities and services available. It's based on a self-evaluation by the property. Use this rating to help choose your stay! 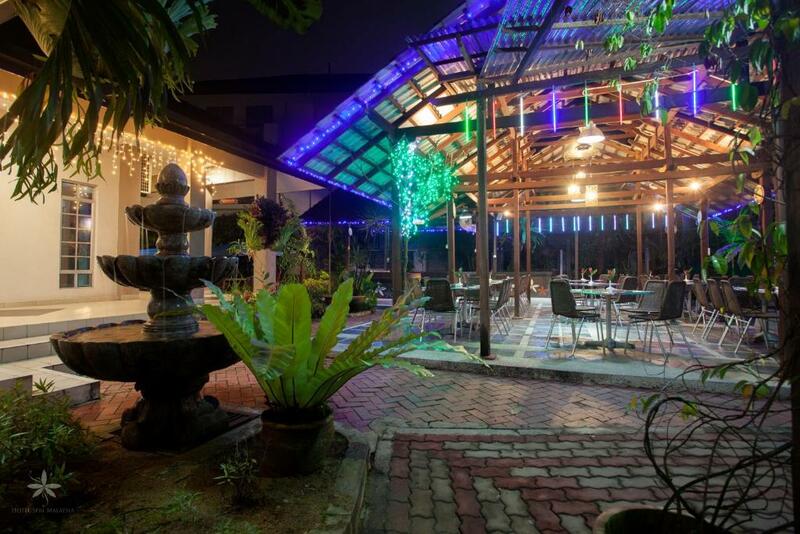 Offering a cafe, Hotel Seri Malaysia is a 10-minute drive from Johor Bahru. It features modern rooms with a private balcony and a sitting area. Free Wi-Fi is provided. 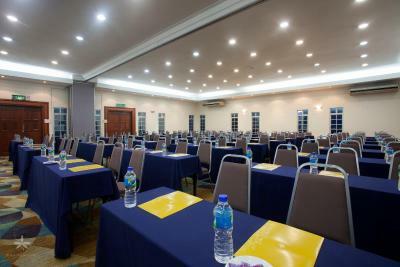 Hotel Seri Malaysia Johor Bahru is a 10-minute walk from the Larkin Bus Station and Central Market. Less than 2 miles from Austin Hills Golf Resort, the hotel is about 20 miles from Singapore’s Changi International Airport. 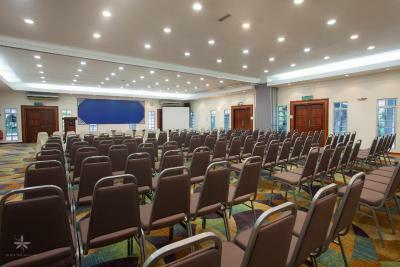 With carpeted floors, air conditioned rooms at Seri Malaysia are equipped with a private bathroom and a TV with cable channels. Coffee/tea making facilities and a minibar are included. Tanjung Puteri Café serves a variety of local delights and Western favorites. 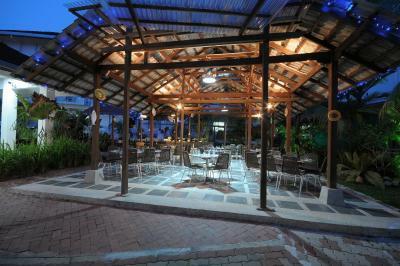 The hotel has a courtyard area which can be used for barbecues. 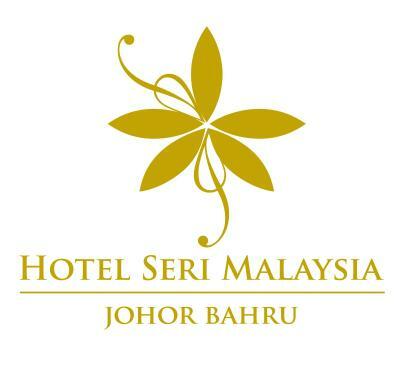 Guests can shop for gifts from Hotel Seri Malaysia Johor Bahru’s convenience store. 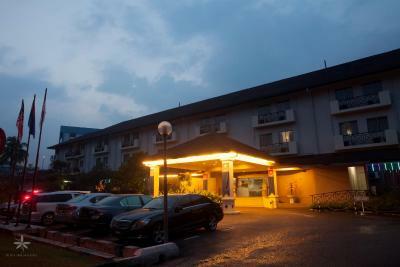 The 24-hour front desk offers car rentals and laundry services. 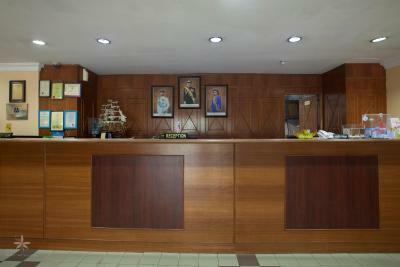 When would you like to stay at Hotel Seri Malaysia Johor Bahru? An air-conditioned room featuring a seating area, a private balcony and a satellite TV. 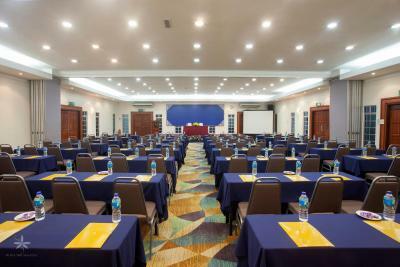 House Rules Hotel Seri Malaysia Johor Bahru takes special requests – add in the next step! Hotel Seri Malaysia Johor Bahru accepts these cards and reserves the right to temporarily hold an amount prior to arrival. I requested a groundfloor room as Reviews forewarned "no lift". At check-in, I was told hotel quite full, all ground floor rooms taken, but I was not expected to be put on the top floor/third floor! So many stairs to shift my four big luggage! I requested a quiet room, but I was put right next to the main road! I could hear traffic the whole night, due to many drop-offs and pick-ups for people at Larkin Terminal! Unfortunately, the building is not sound-proof. I could hear everything! The hotel did not anything like 10pm-6am "Quiet Policy". A Malay family with two young kids were playing in the corridor outside my room until midnight! 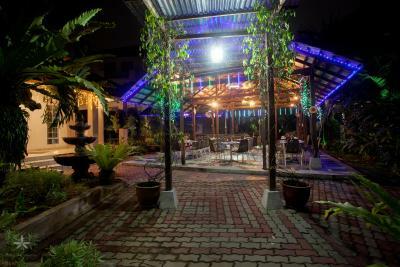 I complained to the reception, should be no noise after 11pm, if not 10pm, for guests to rest. However, no action was taken. So I had to yell to that father before midnight to get his children back to their own room. When I called Reception to ask how to connect to WiFi, I was told "No wifi in your individual room, you have to come down to the lobby for WiFi." Very inconvenient. Not stated clearly on Booking advertisement page. Before I could ask for another question, I was cut off! Not good customer service! Breakfast is not as good as reviewed by previous customers. Even though it included both continental breakfast and hot local food, there was no meat for me, who doesn't eat deep-fried food or sausage. I had a vegetarian breakfast instead. If you're reading the review I would say pay extra money and stay in a nice hotel especially if you're with family. First time I saw cats in a Hotel!!!! Food was horrible. They provided MOLDY BREAD and everything is sweet. The walkway to the rooms are not clean,you can see spiderweb everything. It's really old. Broken aircond, old dusty ,stained carpet. Outside there's water fountain/pond whatever you want to call it, it's so smelly. I read the reviews before booking and I have to be honest, pay extra money and stay in a different place. Staffs were helpful in making sure we get ground floor accommodations. The breakfast area is very cozy. The plugs and kettle weren’t working, and there was a slight musty smell in the room. Proximity to the bus terminal. there’s only have staircase. should have lift!